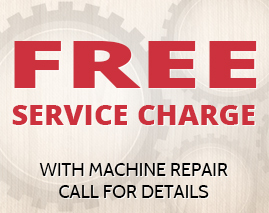 Simply the BEST freezer repair service in Buffalo Grove and Arlington Heights. Specializing in residential freezer repair. Area Appliance Service can fix your busted, broken down top and bottom freezers, and if we can’t we will let you know ahead of time that purchasing a new machine is your most cost-effective option. Our factory trained experts understand that a malfunctioning freezer means food spoilage, which could cost your family dearly. Not to mention, the huge inconvenience it is to be without these every day kitchen appliances. Our team repairs all types of freezers. 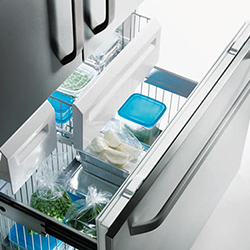 Our area of freezer repair encompasses your local suburbs. Feel free to give us a ring today and talk to a real person, not a machine. As always your call is no obligation. Contact us at (847) 459-8070 or fill out our brief online form below. We work 24 hours a day, 7 days a week, to get your broken freezer back into service. Freezer is no longer cooling. The freezer runs all the time. My freezer doesn't work and makes a clicking sound. My freezer is leaking water. My freezer defrost drain has problems. The freezer coils keep frosting up. The freezer indicator light is out. Freezer only freezes on the top shelf. Schedule Service for Your Freezer Today! If for any reason our repairs don’t meet your standards, we will gladly return to fix it right away, as long as it is within the warranty time frame. If a part fails within the time frame, we will gladly get it replaced straight from the parts manufacturer. You can rest assured you are in great hands with Area Appliance Service as we are backed by almost 60 years of service in the freezer repair industry.